Istanbul has arguably inspired more poetry, novels, travel accounts and essays than any other city. But the world’s most widely read depiction of the city came from a man who never set foot in it: the Irish poet William Butler Yeats. 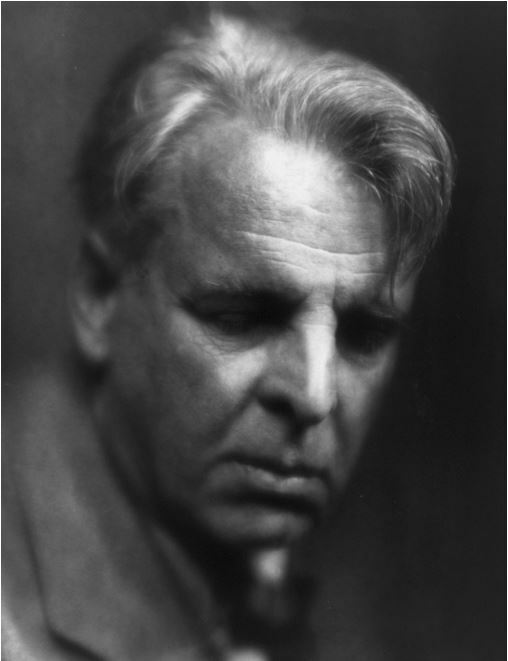 This leaves us to wonder: How did Yeats’s famous poem “Sailing to Byzantium” come about? In honor of St. Patrick’s Day, we shed some light on the matter. From Today’s Zaman. So what exactly did Yeats write about Byzantium? Yeats wrote two poems about İstanbul that have become classics in the Western literary canon: “Sailing to Byzantium” and the later “Byzantium.” The first poem uses an imagined journey to Byzantium to meditate on mortality, spirituality and artistic legacy, among other themes. The poet escapes a country of youth neglecting the “monuments of unageing intellect” around them and travels to Byzantium, seeking some form of eternal paradise. The second, lesser-known poem, “Byzantium,” is a nighttime portrait of the city populated by classical Greek symbols — the figure of Hades, the golden bough, dolphins carrying people to the underworld. While “Sailing to Byzantium” invokes a journey, the second poem paints a picture that is complex and dizzying. How famous are these poems, really? As far as poetry goes, “Sailing to Byzantium” is one of the most commonly referenced poems ever put to paper. It begins with the line “That is no country for old men,” famously adapted as the title of a Cormac McCarthy novel that later became an Oscar-winning Coen brothers movie. Another line describing a human as a soul “fastened to a dying animal” has become a oft-quoted vision of mortality. Beyond these are countless references in novels, films and other works. “Byzantium” is cited less often, but its final line describing “that dolphin-torn, that gong-tormented sea” is well known. So if he never visited the city, where did Yeats get his inspiration to write about Byzantium? Yeats was a student of classical life, mythology and art, basing his understanding on works such as Edward Gibbon’s The History of the Decline and Fall of the Roman Empire. He also viewed Byzantine art during a trip to Italy and heard further accounts from his friend Oscar Wilde. In terms of personal inspiration, he is famous for practicing “automatic writing,” which meant opening his mind to divine inspiration and simply acting as a scribe for the words and images that came to him. That all sounds extremely unreliable. Was his description of the city accurate? The answer to that is subjective, of course, and critics have made a small industry out of pointing out the discrepancies between Yeats’s vision and the historical reality. On the other hand, the sense of dizzying imagery blending the ancient and the modern he evokes in “Byzantium” is a pretty resonant account of what it’s like to be in İstanbul. But accuracy was far from the writer’s goal. The poem is most often understood as using a physical journey as a metaphor for a spiritual one. So should I read the poems to understand historic İstanbul? Indirectly, sure. While it would be foolish to take the poems as informative accounts of Byzantium, they say a lot about how it existed (and still exists) in the popular Western imagination as a near-mythical place on Earth preserving our inheritance of ancient wisdom. And anyone planning a first encounter with İstanbul would do well to take a practice run reading “Byzantium,” with its disorientating array of images blending the mythical and the political, the archaic and the new. This entry was posted in Uncategorized and tagged Byzantium, Istanbul, WB Yeats. Bookmark the permalink. Check it out if you get a chance, I’d love to get some feedback.